Once again a station doing a short appearance. 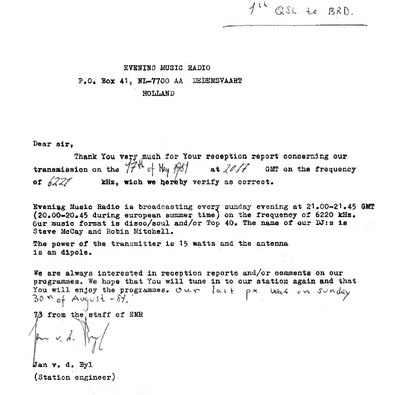 During 1981 EMR made some shows with their 20 Watts transmitter, or as they called it; Home-build 2. 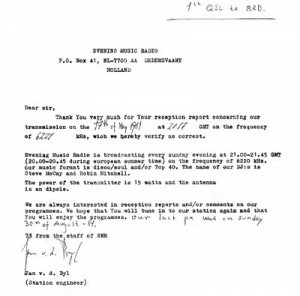 The shows was more or less only experiments, and only on air on evenings in the 48 mb (6225/35 kHz).